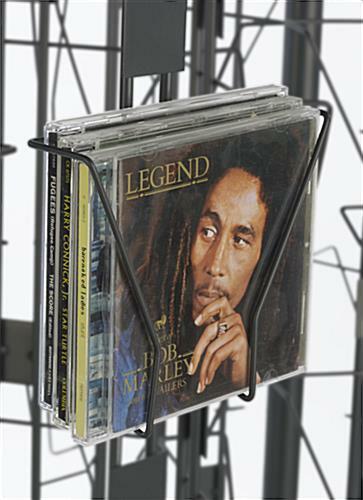 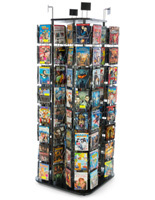 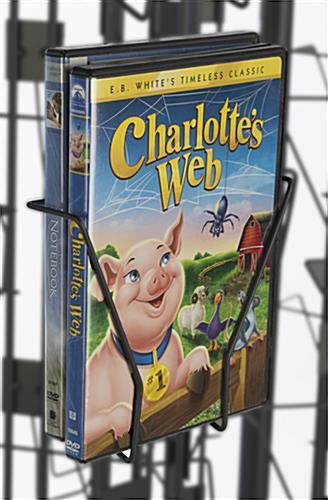 This floor wire spinner DVDs literature is a space-saving 144-section tower that is ideal for retail and commercial multimedia storage and displays. 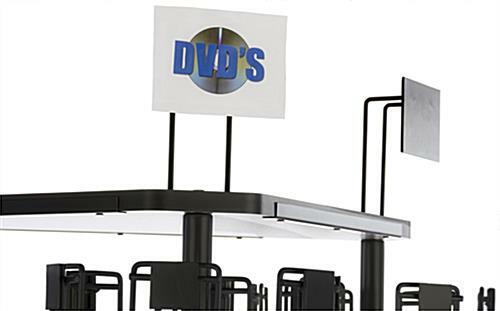 Each 78" tall fixture features three separate 48-pocket columns that rotate individually for visibility and accessibility to customers. 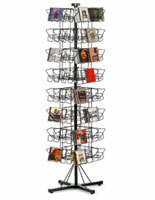 This black wire store spinner DVDs literature has a high stability melamine laminate MDF base and top. 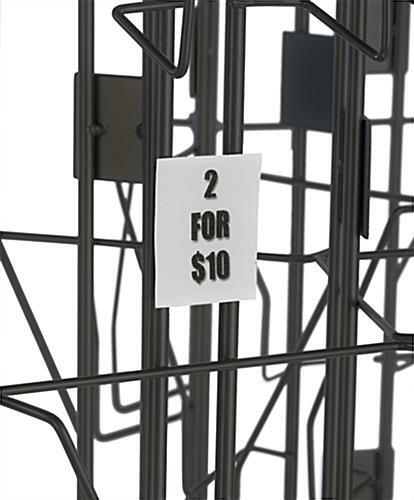 Three top headers and 144 individual pocket labels offer maximum visibility to attract or inform customers of retail pricing and sales information. 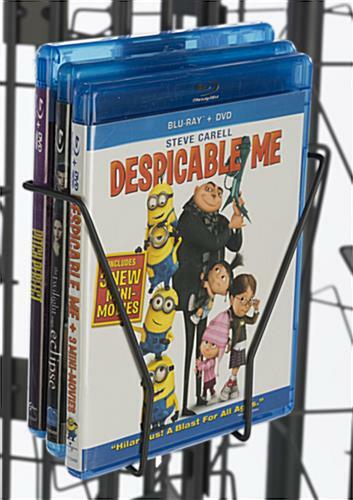 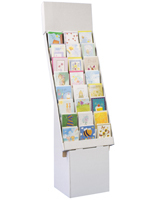 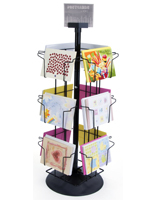 This freestanding spinner DVDs literature easily support multiple media sizes, including Blu-rays, postcards, greeting cards, books and more. 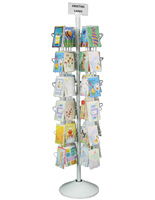 This space-saving multimedia storage tower is a perfect choice for retail and store use, and the neutral black finish will complement any decor. 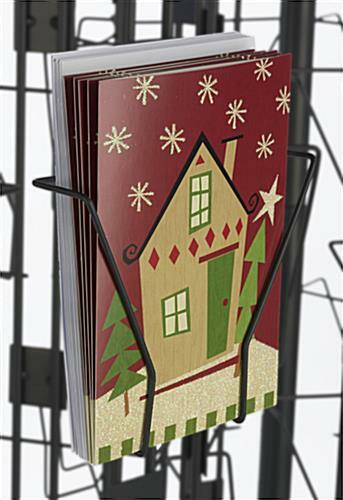 35.8" x 78.2" x 26.5"
5.9" x 5.0" x 1.5"
4.0" x 6.3" x 2.3"